Selected through the ASEF Creative Networks programme, Curating Batik involves the exchange of batik collections between museums in Asia and Europe towards an exhibition in 2017. This year, curators from Austria, Indonesia, Czech Republic and Switzerland have met to exchange ideas and visit batik collections in preparation for this exhibition. Curating Batik is a direct contribution to UNESCO’s announcement in October 2003, which designated batik as a Masterpiece of Oral and Intangible Heritage of Humanity. The project has raised general awareness, and has assisted museums in protecting this treasure. It has also provided a venue for various experts to conduct in-depth researches. Here is the report of the second phase of the project in Vienna, Prague and Basel in late August 2015. The Curating Batik project kicked off successfully this June at the Textile Museum in Jakarta. The event featured lectures, workshops, gallery visits, as well as field visits to batik producing sites in Pekalongan, Lasem, and Solo in Central Java, Indonesia. 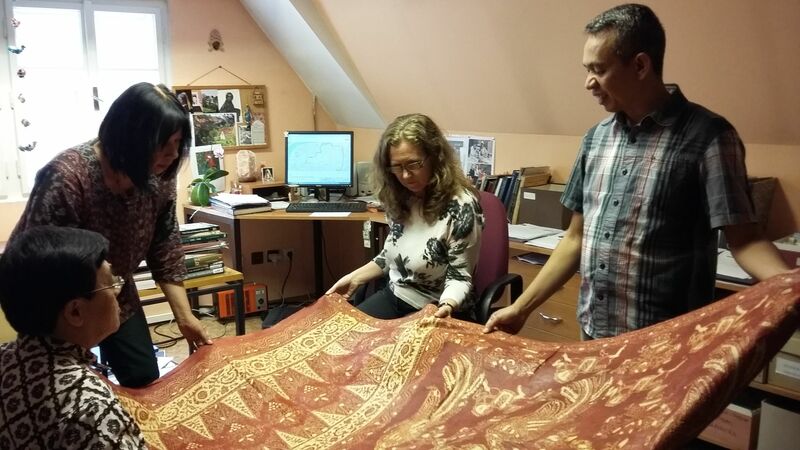 The 2nd phase of the Curating Batik continued to Europe (30 August – 20 September 2015), with Independent Batik Expert Dr. William Kwan and Textile Museum Jakarta Assistant Curator Benny Gratha coming on board to conduct research on the batik collections of the Weltmuseum Wien in Vienna, the Naprestek Museum in Prague, and the Museum der Kulturen in Basel, Switzerland. The Weltmuseum Wien is currently undergoing extensive renovation, and is planning to re-open its doors in October 2017. The results of this collaborative project will be incorporated in the conceptualization of the new presentation of the permanent collection. For this reason, William Kwanand Benny Gratha were invited to research the batik collections of these 3 ethnological museums in Europe. The Weltmuseum Wien has a batik collection of about 300 pieces. In the course of the project, Dr. Jani Kuhnt-Saptodewo, curator of Insular South East Asia of Weltmuseum Wien, was able to discuss her selection for the new permanent batik gallery. The selection is going to show the development from classic batik textiles to the influences of different cultures such as Dutch and Chinese to contemporary batik designs. In the discourse with the colleagues from Indonesia, Dr. Kuhnt decided to exchange a batik cloth from the 1980s with a delicate piece from the 1950-60s to show the various influences from China, Hinduism and Islam in Indonesian Batik. 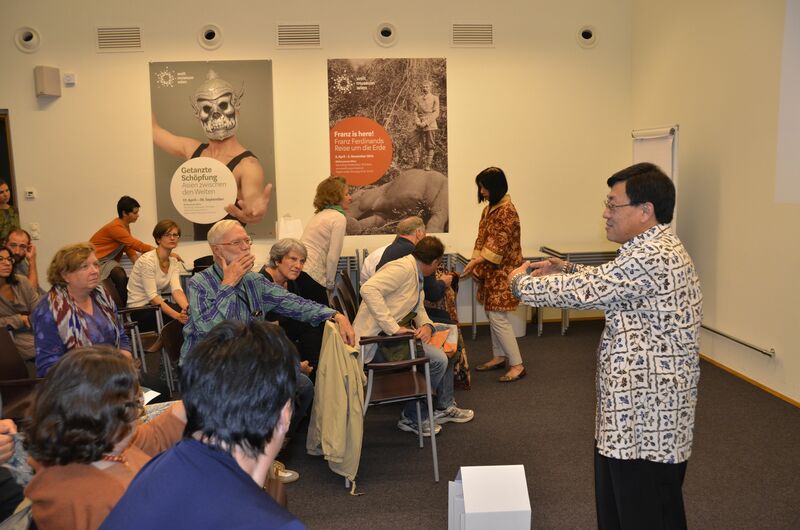 At the end of their stay in Vienna, Dr William Kwan and Benny Gratha held a presentation at the Weltmuseum Wien that was open for the public, followed with a buffet of Indonesian snacks. The next stop after the Weltmuseum Wien was the batik collection of the Náprstek Museum of Asian, African and American Cultures in Prague, Czech Republic. The collection comprises of 120 pieces, which have not yet been identified completely. Dr. Dagmar Pospíšilová, curator for South and Southeast Asia at the museum, was happy about the opportunity to have an in-depth discussion, and to generate knowledge of the collection, which will find its way into the museums database. The exchange continued in Basel at the batik collection of the Museum der Kulturen. At the first workshop in Jakarta, Dr. Richard Kunz, curator of Southeast Asia from the Museum der Kulturen in Basel, Switzerland, pointed out the challenges in curating the collection. ‘What is the potential of the collection? What story lines can be developed? What message do we want to convey with an exhibition?’ Together with the experts from Indonesia, the aforementioned questions were addressed and discussed. Benny Gratha was particularly impressed by the number of Lok Can batik collection. The Lok Can batik is developed by the Chinese community in Central Java at the beginning of the 19th century. A typical motif of the Lok Can batik is the phoenix, which serves as a symbol of social and philosophical significance, namely for virtue, achievement, and immortality. 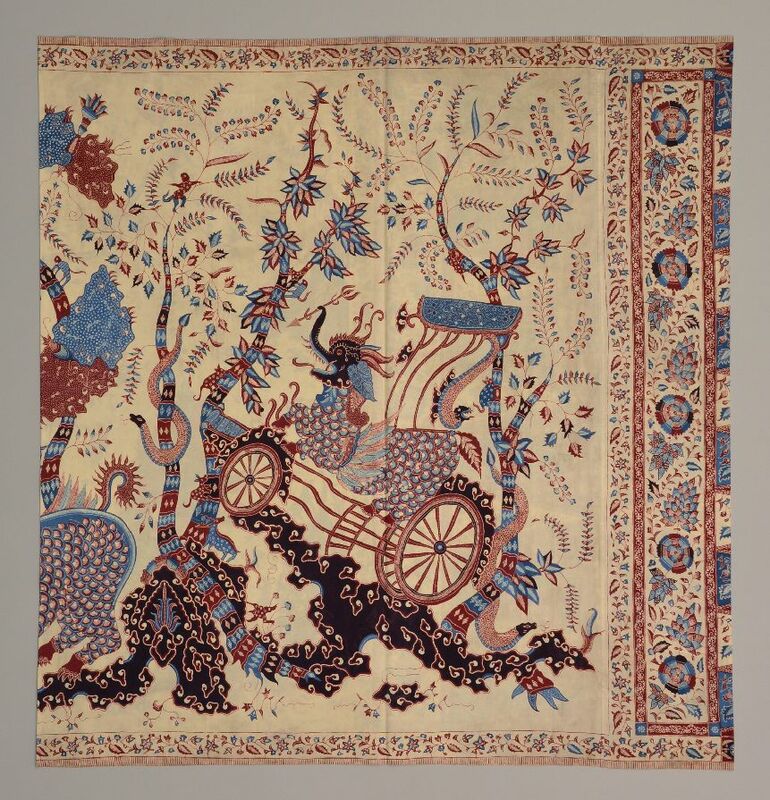 Benny Gratha pointed out that the large collection of Lok Can batik at the Museum of Kulturen Basel would provide enough material for a separate study. For William Kwan, the conservatory aspect of the batik collection is of particular interest. The collaboration has overall been a very fruitful and enlightening experience for all participating members. Ideas on preservation, exhibitions and general research on batik in museum collections have been exchanged. The experts were very pleased and thankful for the opportunity provided by ASEF and ASEMUS network for the collaboration, and hope for more similar projects in the future. Bianca Figl is currently working at the Department of Learning at the Weltmuseum Wien and accompanied the expert group from the Curating Batik project during their stay in Europe. She has a background in Japanese studies, Art History, Indonesian classic dance and holds a MA in Arts & Heritage: Policy, Management and Education from Maastricht University.